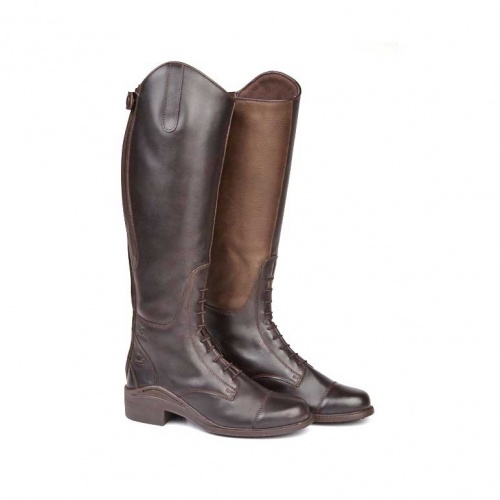 Burnham Full Grain Leather and Nubuck Stylish Riding Boot from Taurus Footwear. 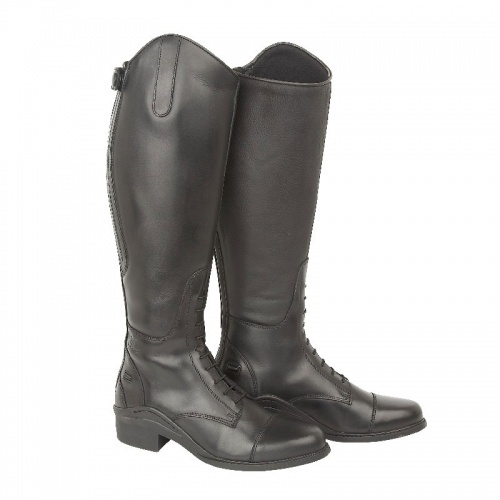 The Air system rubber sole and covered elasticated rear panels makes these boots extremely comfortable to wear. Full design details included Full grain leather upper, textured waxy nubuck inside calf panel, padded textile lining, covered elasticated rear panels, rear zip with rolled edges, air system rubber soles and spur stops. Sizes available in Chocolate 4, 5, 6, 7, 7.5, 8 regular fit. Sizes available in Black 4, 5, 6, 7, 7.5,8 regular fit. Black 5, 6, 7 in wide fit.